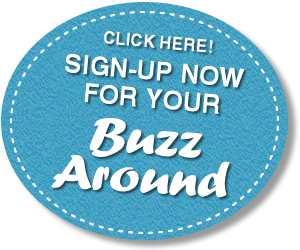 Buzz Around is dedicated to spreading good news and supporting local businesses throughout the South Coast of Massachusetts. Buzz Around, LLC is a team working for the mutual benefit of the communities we serve, local nonprofits and small businesses; coworkers and our partners; with the goal of enhancing communication, cooperation, and a sustainable society that values human dignity. We have 3 bottom lines: People, Planet & Profits. • People: We show respect and integrity in our actions and language with readers, employees, businesses and all we connect with. In essence, treat others as we would like to be treated. • Planet: We seek wisdom and make decisions with an understanding of their effect on the earth and its inhabitants. All business decisions are made with environmental sustainability & a pluralistic society in mind. • Profits: We work with local small businesses to develop individualized interactive marketing plans. By providing creative advertising, promotion and guidance to reach our communities and build new relationships; we support these businesses in strengthening themselves and our communities. Our philosophy is to operate our business based on awareness and oneness with all of our created world. We work for the mutual benefit of the communities we serve, local nonprofits and small businesses, coworkers and their families and our partners, with the goal of enhancing communication, cooperation, and a sustainable society that values human dignity and respect, creativity and local agriculture. Through sharing kindness and compassion, our efforts support the building of sustainable communities. The Buzz Around was founded through Divine inspiration. By reflecting that in our philosophy, our relationships and our management practices the Buzz Around supports the growth of sustainable, healthy communities. We collect email addresses for the sole purpose of publishing our Buzz Around email newsletters and information critical to the Buzz Around’s stated purposes, including but not limited to occasional emails regarding Buzz Around specific programs and events. We consider hold our subscribers in sacred relationship and do not sell or otherwise distribute subscriber emails, they are kept securely in Constant Contact. In the event that advertising is purchased either through our website or in person, we may collect credit card information. This information is collected for the sole purpose of purchasing Buzz Around products.